The significance of the poppy as a lasting memorial symbol to the fallen was realised by the Canadian surgeon John McCrae in his poem In Flanders Fields. The poppy came to represent the immense sacrifice made by his comrades and quickly became a lasting memorial to those who died in World War One and later conflicts. Anna Guerin, a French woman originally had the idea of selling artificial poppies for charity. The idea was adopted by The Royal British Legion after its formation in 1921 as the symbol for their Poppy Appeal,and veterans associations throughout the Empire. The first ‘Poppy Day’ was held in Britain on 11 November 1921 and the following year Major George Howsen, an infantry officer, suggested to the British Legion that members should make artificial poppies to distribute to the public. Howsen set up a small factory of workers off the Old Kent Road, providing work for veterans-(many of them disabled)-and their families. 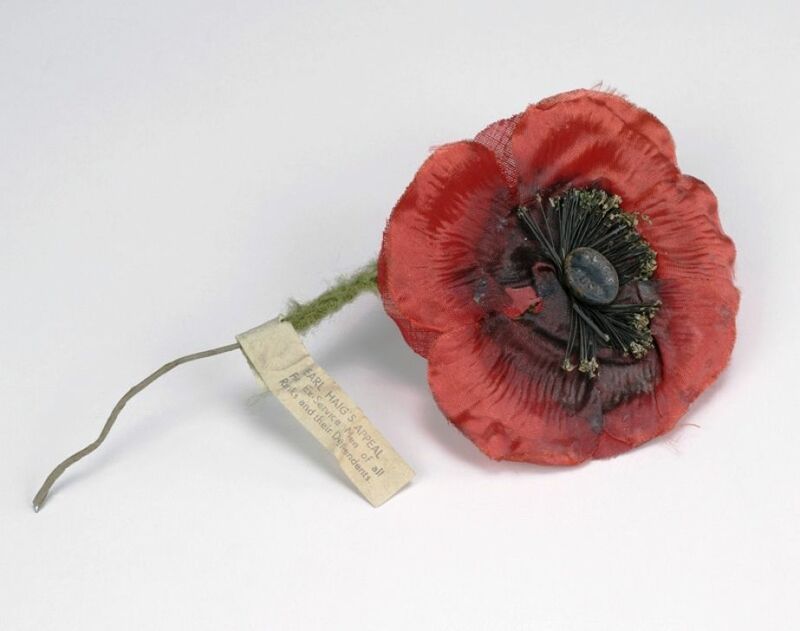 The poppy was specifically designed so that it could be assembled with just one hand. The workforce reached fifty within months of being established and Howsen moved the factory to larger premises in Richmond, close to the current Poppy Factory, which dates from 1933. Today a constant work force of fifty people, many of them disabled and ex-servicemen, manufacture poppies throughout the year, aided by the use of machinery.